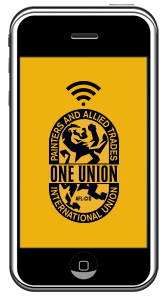 We are the International Union of Painters and Allied Trades, or IUPAT. We represent men and women in the United States and Canada who work in what are called the Finishing Trades – Industrial & Commercial Painting, Drywall Finishing, Glazing & Glass Work, Sign & Display and Floor Covering Installation, and many more successful careers in the construction industry and public sector. When you are a part of a union, what you do for a living is more than just a job – it’s a career! As a union member you receive training, benefits and a pension. There’s also an opportunity to earn a college degree in one of our programs as well. The best part is that you have a job while we train you, so you earn while you learn! Although a typical apprenticeship lasts three years, if you have experience in a craft it can be much shorter. Click on the crafts mentioned below to learn more about some of the careers we offer, or get in contact with a local IUPAT district council. Or, if you are ready to join, complete and submit the form below and a local union representative will contact you to begin your training and your new career! Fill Out the Form Below to Get Started on Your Career in the Finishing Trades! The first step to a start of a lifetime starts with submitting the information requested below. An IUPAT representative will contact you to begin your training and your new career! An asterisk (*) denotes required fields. I'd like to receive updates from IUPAT via text message. What trade are you interested in working in? Yes, I'm interested in becoming an apprentice.